The pair were photographed in his car together and everything. 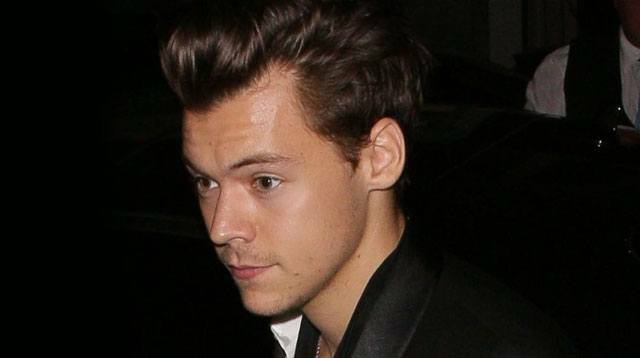 Harry Styles was photographed in his car with model and chef Tess Ward over the weekend, which could mean something very exciting—has Harry got a new girlfriend? The 23-year-old singer—who recently released his soaring new video for "Sign of the Times"—was reportedly introduced to food blogger and budding chef Tess by mutual friends, and apparently he's already "besotted" (and will never go hungry again). A source told The Sun: "As soon as Harry met Tess there was an instant spark between them. "They really bonded over their mutual love of quirky fashion and food—and things turned romantic quickly. "They've been on a number of dates while Harry has been in London and he's already introduced Tess to some of his close friends including his personal stylist Lou Teasdale. "This really seems different to Harry's past relationships as Harry genuinely is besotted with Tess and doesn't want to risk messing this one up." Tess—who has released two healthy recipe cookbooks The Naked Diet and The Naked Cookbook—was also pictured at a royal polo event over the weekend, where Prince Harry was taking part and later caught kissing girlfriend Meghan Markle. The 27 year old—who promotes clean-living and healthy eating—has received professional chef training, and quite frankly, her food on Instagram makes us feel really hungry. She's also a model, and has hit the fashion circuit alongside former Made in Chelsea stars Millie Mackintosh and Rosie Fortiscue. Speaking about his love life recently, Harry told close friend and Radio 1 DJ Nick Grimshaw: "I haven't dated in a long time really because I went away to do the movie then did the album so I haven't in a while. Harry previously dated Caroline Flack and Taylor Swift, and has been romantically linked to Kendall Jenner.